Tapa is a popular Filipino breakfast meat. 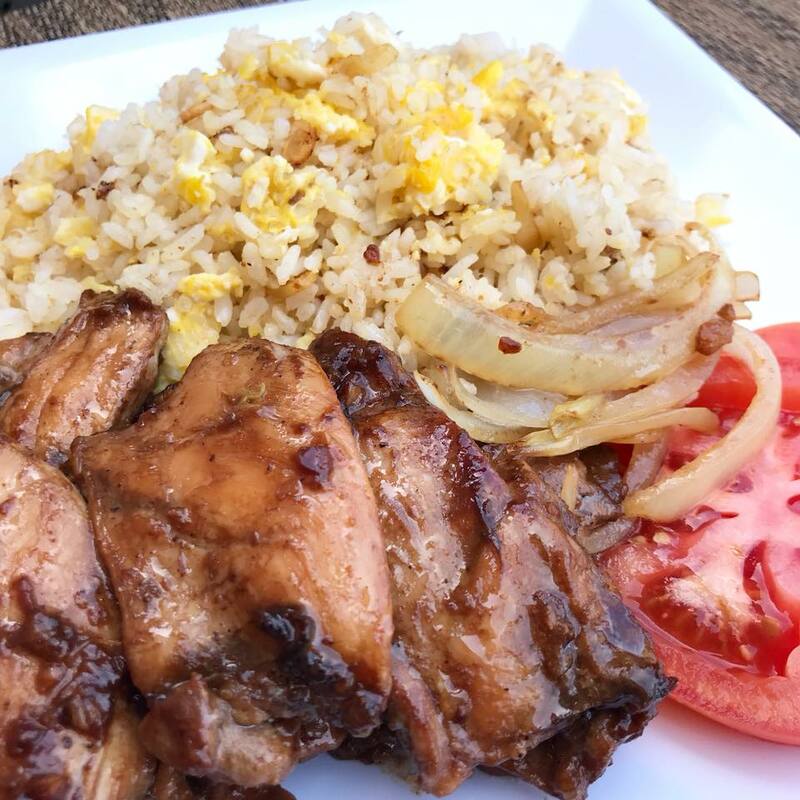 Best when served with garlic fried rice and fried egg known as "TapSiLog" for Tapa, Sinangag at Itlog. 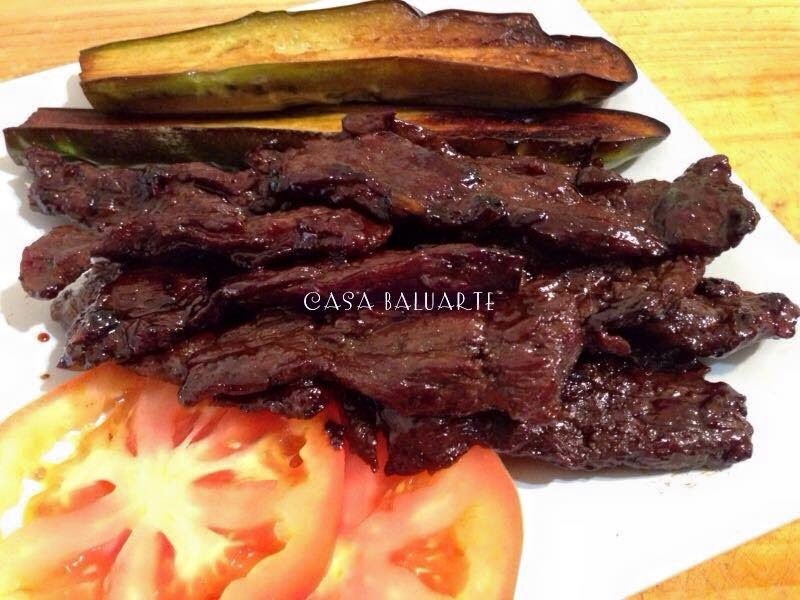 The word Tapa in the Philippines refers to dried or cured meat. 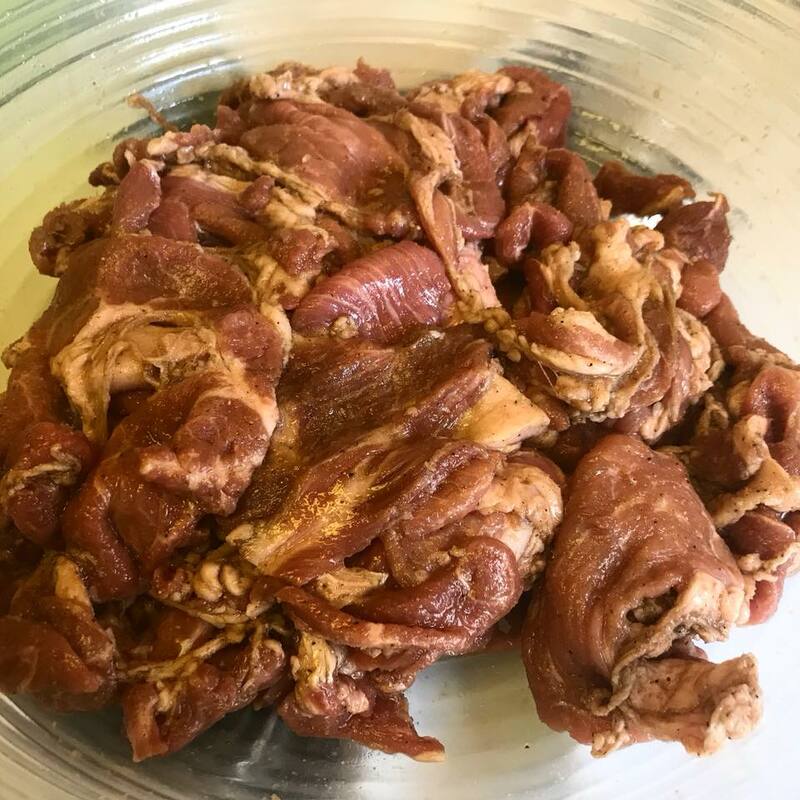 With this recipe I used thin sliced pork shoulder although other meat like beef or chicken may be used. 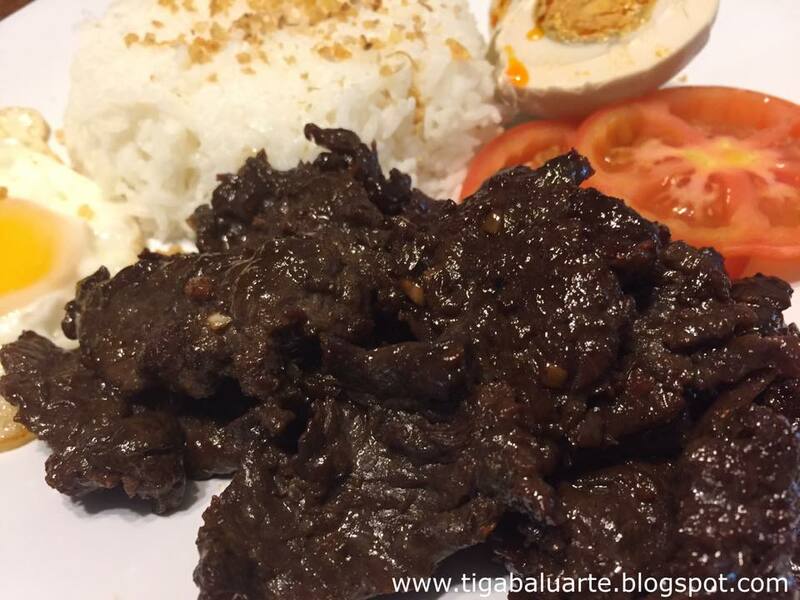 See below step by step instructions on how to make Pork Tapa. In a wide container, combine soy sauce and vinegar. Add salt, sugar, ground pepper and mix well. Add beef and minced garlic. Mix well and cover. Refrigerate at least overnight. Heat frying pan in medium high and add cooking oil. 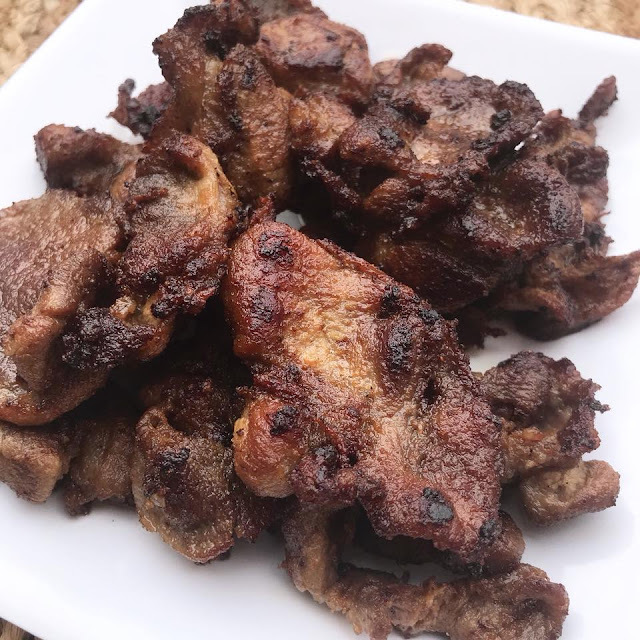 Pan fry meat in batches for 10 minutes or until meat is fully cooked and brown. Remove from pan and serve with steam or garlic fried rice and eggs cooked sunny side up for breakfast or anytime of the day with slices of tomatoes. Enjoy.